The date and location for WordCamp Europe 2014 have been set. 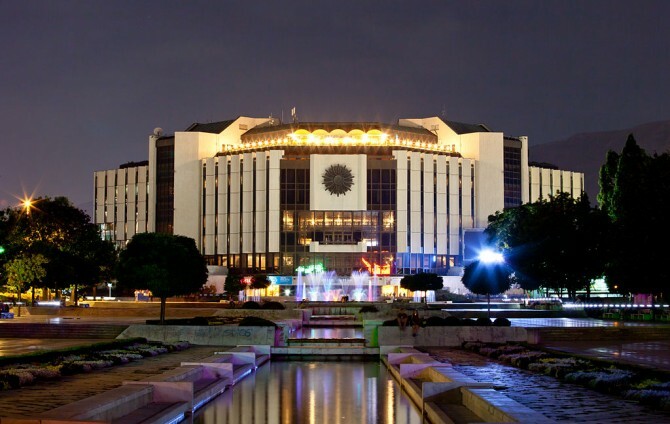 The event will be held in Sofia, Bulgaria on September 27–29, 2014 at the National Palace of Culture. And if the event is anything like WordCamp Europe 2013, this year’s conference is sure to be a smashing success. Last year’s gathering drew in over 700 WordPress buffs – a huge undertaking that was made possible thanks to the efforts of a dedicated volunteer team. People came in already a fan of the platform and left as die-hard WordPress community members. Something special happened at that conference that really inspired a momentum among the attendees, which everyone is most likely still riding on today. People from all over the world are crossing divides to come together and share their thoughts and ideas. Many people tend to go into these conferences for the first time not really knowing what to expect or what to get out of it. These folks end up coming out totally fascinated and inspired by the great group of people involved with WordPress and excited about where the content management system is headed in the future. So before we jump into WordCamp Europe 2014, let’s take a trip down memory lane, shall we? The first day of 2013’s WordCamp Europe kicked off with a presentation given by Vitaly Friedman of Smashing Magazine. In his I Want to be a Web Designer When I Grow Up speech, he gave an interesting overview of the life of Smashing Magazine and its beginnings. One thing he said totally resonated with me: “It’s not about the traffic, it’s about good traffic.” He emphasized how web developers and designers need to be more aware of the visitors’ personas, instead of just focusing on the almighty number. Yes, yes, yes! There were tons of highlights from last year’s WordCamp Europe, but perhaps the biggest revelation was a speech given by Bram Duvigneau on Practical WordPress Accessibility. There were no slides accompanying Bram’s talk. He’s been blind since birth. Aside from all the mundane challenges that many of us whine and complain about for little reason, Bram has to deal with a lot more challenges in the online world. Imagine not being able to click on icons using a mouse. In Bram’s world, little things like a well-structured HTML document play more of a key role than they might for you and I. In his presentation, this web developer from the Netherlands did a short demo showing off how he browses the web using his computer and I have to say, it was very interesting. One of his stand-out points was that there isn’t a right answer in terms of a “right person” to test website accessibility. It’s just a matter of testing and retesting and reacting based on feedback. Since Bram is blind, he can’t exactly react to Flash content since screen readers don’t read them. He’s only able to ‘see’ with his screen reader, after which he can make suggestions for improvements or changes. In much the same way, we folks who have no problems with our vision can’t use a screen reader for testing, because we don’t have to day-to-day. And we obviously wouldn’t use it the same way that Bram and other visually-impaired people would. One of the main high points of last year’s WordCamp in Leiden, Holland was the Q & A with co-creator of WordPress, Matt Mullenweg. His speech could have easily turned someone from merely having lukewarm feelings about WordPress into being a very active part of the WordPress community. Matt’s vision for the future of WordPress is to even up the playing field in the world of online publishing. He talked a little about his vision of where he’d like WordPress to go in the future. Essentially, Matt would like nothing better than for WordPress to take over the online world. And it looks like he’s on his way to potentially achieving that goal. Did you know that more than 20 percent of websites floating around on the internet are powered by WordPress? Not bad for a content management system that had humble beginnings as a basic blogging system. And if you think that’s impressive, you ain’t seen nothing yet. Mullenweg is pretty confident that open source software will be powering at least half of the globe’s websites by the year 2018. If you consider current market shares, that means the number of websites using WordPress over the next five years will probably double. That’s another 35 million WordPress sites. At least! Even though it might seem that all the lucrative niches out there have already been snatched up, there are still plenty more yet to be dominated. There’s a ton more on the horizon from the core WordPress software itself, in addition to plugins, applications, and themes running the WordPress platform. Even the big-wigs love to use WordPress as their platform of choice. Sara Rosso explained this in her presentation, Why Big Brands Love WordPress. Some of the biggest brands and industries rely on this content management system in major ways. Why? The answer is simple: it’s easy to use. It’s intuitive. It streamlines workflow. In fact, the people who handle WordPress sites for NASA are non-techies. But they were quickly able to figure out how to use WordPress very quickly. Almost all of the new web content for Time.com is created using WordPress. Even the Washington Post uses this CMS, and claims that WordPress allows fast development while quickly and easily letting their team alter anything and everything that needs to be changed on the spot. This year’s WordCamp in Sofia, Bulgaria is sure to be a hit. It’s been abuzz ever since the wrap-up of the after-party in Leiden last year. So where will you be on September 27th this year? If you’re planning on being an attendee at WordCamp Europe 2014, what types of issues would you like to hear being discussed? What’s a topic that’s been poking around the back of your mind this past year? I’d love to hear all about it!